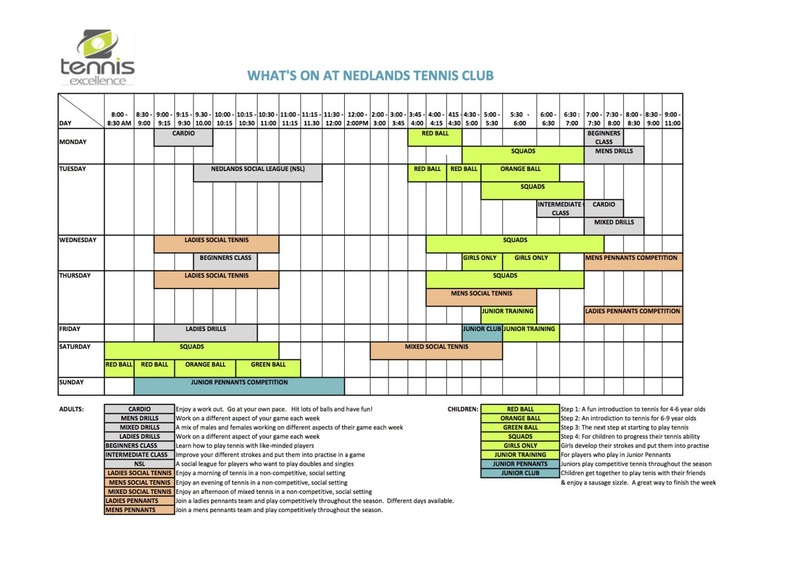 Nedlands Tennis Club with it's coaching partner, TennisHQ, offers something for everyone. Take a look at all the different sessions on offer in the timetable below. You will be spoilt for choice.